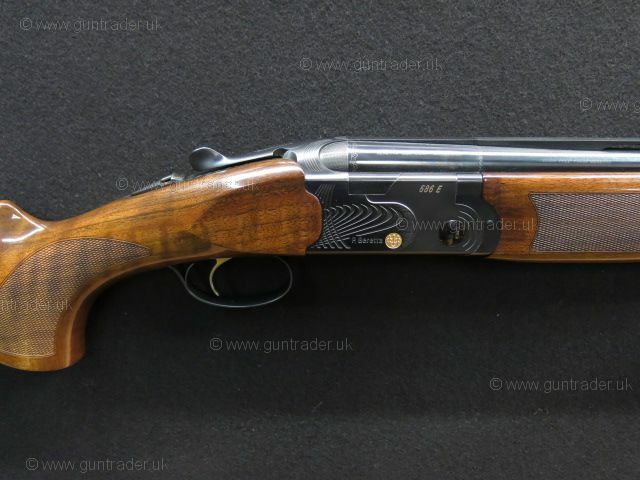 Excellent condition 12 Bore Beretta 686 E Limited Edition over and under multichoke shotgun. 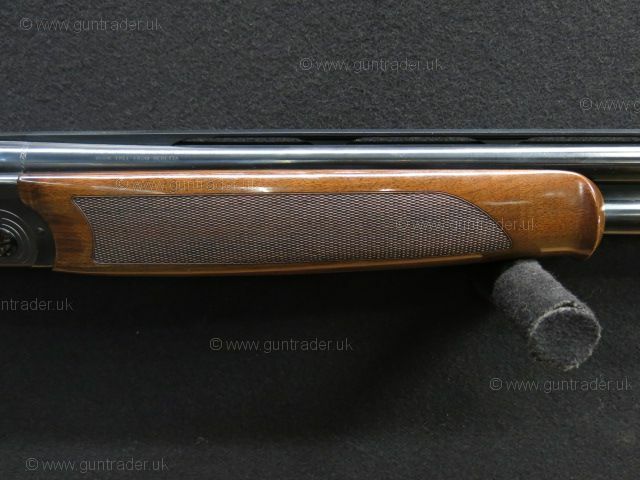 Tru-oil finished pistol grip stock fitted with a Beretta rubber interchangeable heel pad, the stock is accompanied by a matching schnabel shaped forend with blacked scroll engraved release catch. 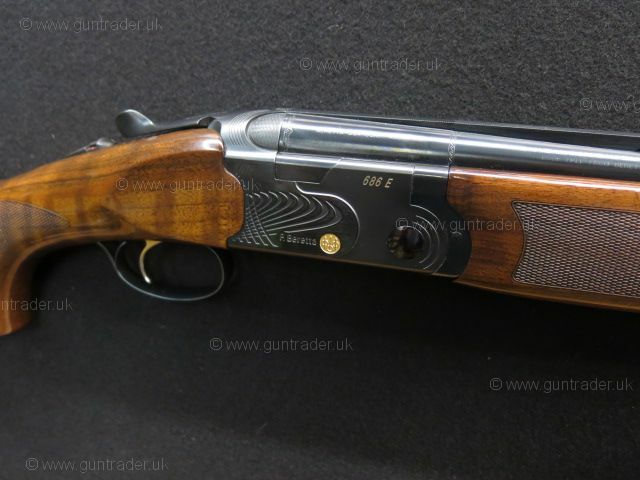 Black finished 686E engraved boxlock action, each side of the action has been engraved with the 686 E model number finished in gold coloured inlay. 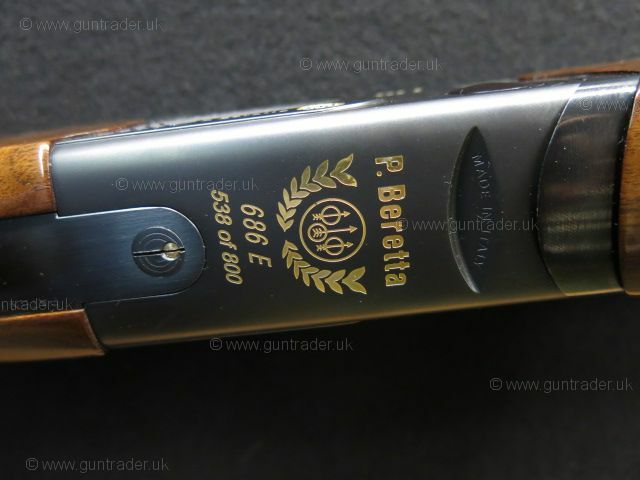 The underside of the action has been engraved with the Beretta logo flanked by laurel leaves finished also in gold coloured inlay, under the Beretta logo the numbers 538/800 are engraved to confirm that this is gun number 538 out of a limited run of 800 to have ever been made. 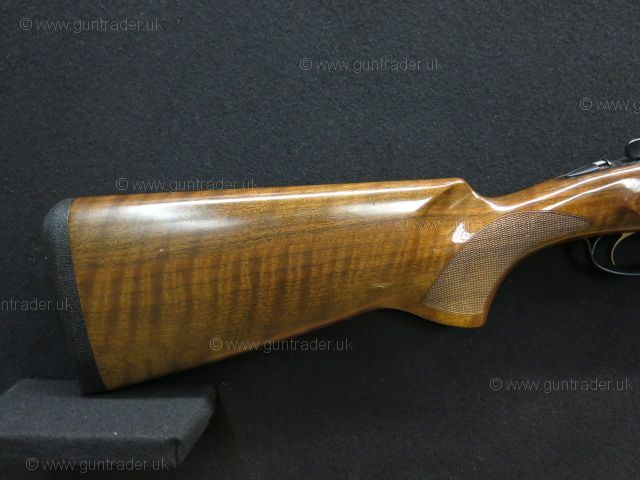 A pair of well balanced 30" multichoke barrels sit alongside the black action with wide ventilated sporting top rib and solid side ribs. 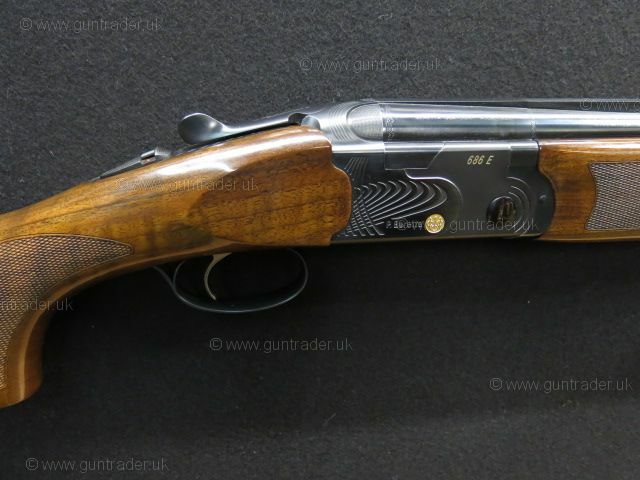 Blacked top lever and rounded trigger guard with a fixed gold wash coloured trigger blade, manual safety catch incorporating the barrel selector, supplied complete in the maker's ABS travel case including a set of external fitting Victory chokes and choke key.